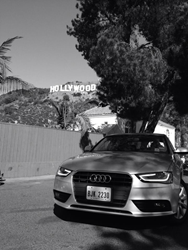 2015 ESPYS Gift Bag Includes All-Audi Car Rental Challenger, Silvercar. ESPYS nominees and attendees to receive 3 free days of Silvercar rentals. We already count many professional athletes as loyal Silvercar customers and look forward to having the opportunity to win over many more. While comedian Joel McHale keeps the crowd at the Microsoft Theater in Los Angeles entertained tonight at the 2015 ESPYS, the athletes and presenters can rest assured that win or lose no one will leave the awards show empty handed. This year, presenters and nominees in attendance will be walking away with an exclusive ESPY Passport. The ESPY Passport includes gift vouchers and certificates for VIP experiences and access to brands including All-Audi airport car rental challenger, Silvercar. Silvercar is providing all presenters and nominees with 3-day Audi A4 car rentals fully-loaded with in-dash navigation, in-car Wi-Fi, and Sirius Radio. The 2015 ESPY Awards is on ABC at 8 p.m. ET on July 15. Founded with a mission to eliminate typical frustrations and points of friction that have plagued its industry for decades, Silvercar is paving the way for the future of car rentals. The company’s seamless car rental business—offering ONLY fully loaded silver Audis A4s—eliminates lines, counters, paperwork, and hassles by delivering the entire experience through an easy-to-use mobile app and friendly concierge service. Silvercar is continually earning the highest customer satisfaction and loyalty scores in the industry and is currently offering service in five of the six busiest car rental markets in the U.S. (SFO, DEN, FLL, LAX, MIA, PHX as well as DFW, DAL, AUS and NY.) To learn more, download the Silvercar app and/or visit Silvercar.com.